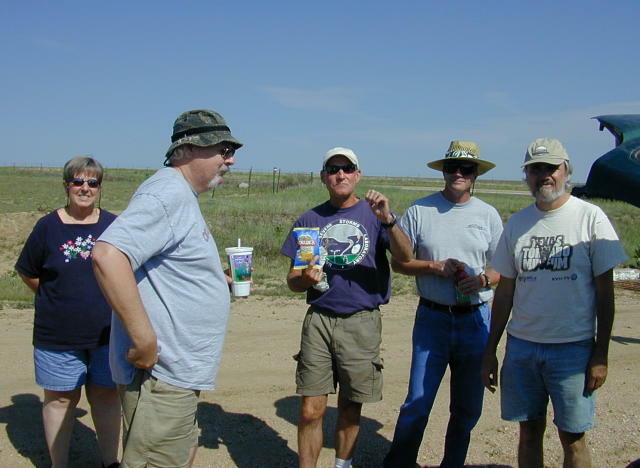 From left to right, Vicki Doswell, Chuck (OF) Doswell, John Monteverdi, Greg Breneman and Matt Crowther. Not seen include Beth, Betsy Abrams and Mike Umsheid and Steve Hodanish. Finally, in frustration we decided do head south to position for the next day. Also, we could see storms to the south. 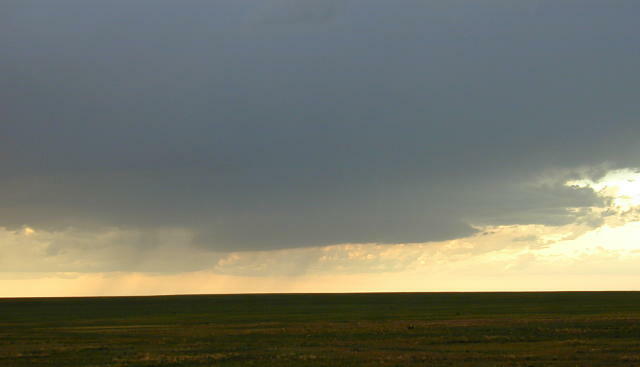 We drove down to to Kim, CO, a pretty place on some high mesas, and watch a little supercell for a bit. Then on to Clayton, NM for the night.